What is this sorcery? 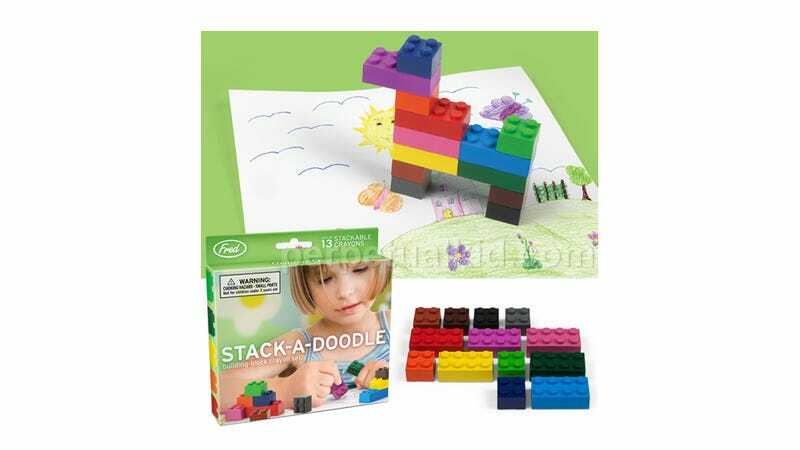 Lego bricks that can draw? It's like, you know, magic. Colorful sweet magic that I want to lick. In fact, I wish Lego released a line of soft/hard bricks that could be easily shaped to get awesome curves in your constructions. I know this is sacrilege for any purist, but whatever. That can be so handy sometimes. Imagine that: rubbing bricks against any paper to get the perfect piece for a design.